Find your specific travel plan information here. What are travel plans all about? ﻿Your Travel Plan Coordinator – Promoting a smarter travel choice. Smarter Travel Ltd provide Travel Plan Coordinator services to both residential developers, workplaces, universities and student a﻿ccommodation.  We can provide you with the knowledge and skills to promote the most sustainable travel choices to your customers or workforce. The idea behind Smarter Travel is simple, there are lots of benefits to be gained from making small changes to the way you and your communities travel. By using more sustainable options such as walking, cycling, car sharing, using the bus or train more often, we can all create a positive impact on our environment and hopefully saving ourselves money in the process. Please feel free to contact us for more information on what we can offer you as Travel Plan Coordinators. We will be more than happy to help and provide you with further information or answer any questions you may have.